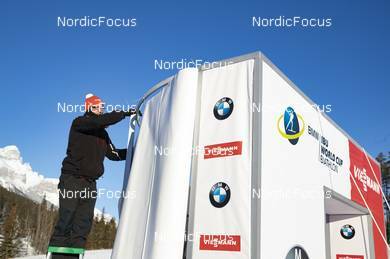 10.02.2019, Canmore, Canada (CAN): Event Feature: Infront technician prepare the start gate - IBU world cup biathlon, training, Canmore (CAN). www.nordicfocus.com. © Manzoni/NordicFocus. Every downloaded picture is fee-liable.